Sometimes it’s hard to believe the riches we in BC are blessed with. I’m thinking about boatbuilding materials today. 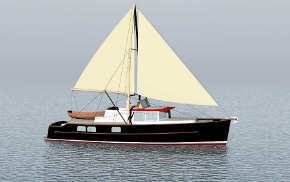 Many countries or parts of the world have one or no indigenous high quality boatbuilding woods. New Zealand has Kauri, the Philippines have their Mahogany, Africa has Iroko, and Burma Teak. But we have 5! Western Red Cedar, Yellow Cedar, Douglas Fir, Sitka Spruce, and Pacific Yew (Taxus brevifolia). The unimaginable coincidence that has bestowed these long-lived, clear and straight growing, and rot-resistant woods to us is certainly partly responsible for our diverse and beautiful boats. 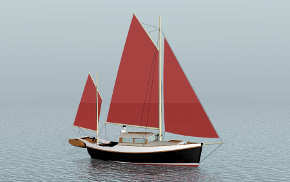 The pictures here are of Fair Helene when just launched and rigged. She is 46′ LOD with 15′ beam and 5′9″ draft. 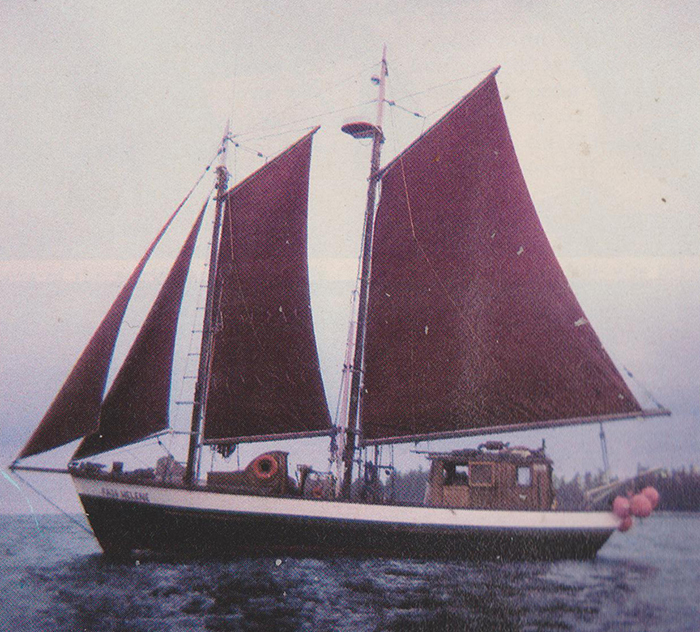 Midships was a live well for cod when originally launched (she had a C Licence). 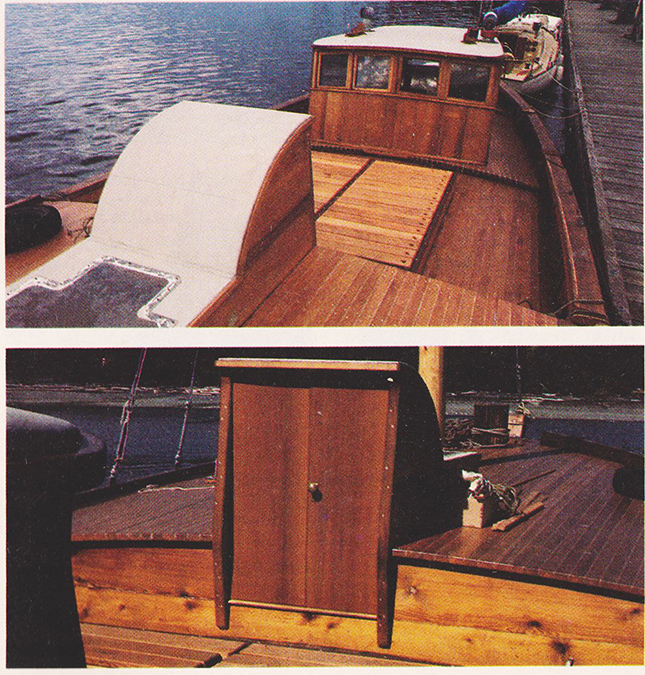 Hull and deck are planked with 2″ Fir, the house, companionway, and transom are red cedar, ribs are yew, 1.5″ by 2.25″, spaced 9-10″. Also of yew is the stem (6″ by 8″), horn timber, worm shoe, rub rails, rail cap, and interior trim. 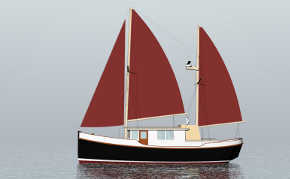 The keel is 30′ long, finished 7″ by 12″ from a beach-combed Fir log. Doors and window frames are from salvaged mahogany. 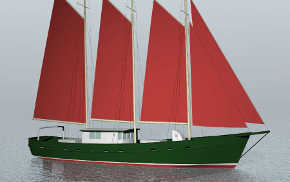 Fair Helene was designed by Dan, who started by carving a half-model based on Slocum’s Spray, but with increased freeboard.